ManTech is guided by experienced leaders who empower the company’s professionals to succeed – together. They are as passionate about developing the next generation of solutions that will secure the future as they are about developing the emerging leaders around them. Their talent, determination and keen business acumen comprise ManTech’s strong and united front. Building on the strong foundation of a winning leadership team, ManTech engages individuals to take on leadership roles. We seek those who can balance strategic risk-taking approaches with the agility to correct course when necessary, provide clarity of purpose, collaborate and build winning teams -- accountable to mission and customers. Our COPs serve all of ManTech, providing the forums in which our professionals discuss best practices and common implementation patterns to deliver solutions that solve our customers’ most challenging needs. The COPs represent vital focus areas including analytics, cloud, defensive cyber operations and managed services. 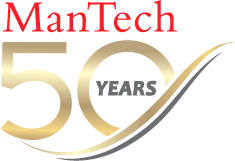 ManTech empowers its employees and creates an environment in which every employee can be creative, share successes and accomplish innovative work. The company’s investment in you means you can focus on solutions that advance our customers' missions. This approach leads to a more successful and sustainable organization. The Technical Recognition Awards Program is an engaging and robust corporate-wide effort that recognizes motivated employees and better cultivates innovative ideas to satisfy mission needs. The Technical Recognition Awards Program is composed of the Technical Elite award and the Technical Fellow award. While MTU is best known for its first-class, industry award-winning training and conference center in Herndon, Virginia, it also houses a vast catalog of online courses in a number of subject areas to help all employees advance their knowledge and careers. MTU is the first place employees should consider when training is required. MTU partners with a number of universities, institutions and training vendors that provide a sweeping array of options for students looking to fulfill higher educational needs. Some of our alliance partners even extend discounted tuition and rates for learning opportunities to employees’ families. We offer a program management development program with our Ken Blanchard Companies. Purdue University Global is an accredited institution of higher learning that provides innovative undergraduate, graduate and continuing professional education. ManTech has partnered with Purdue Global to develop a robust offering that eliminates up-front fees, minimizes out-of-pocket expenses and facilitates ManTech employees earning technical certifications and degrees. Employees can earn Certified Information Systems Security Professional (CISSP) certificates as well as Purdue Global bachelor’s or master’s degrees in cybersecurity, information technology, cloud computing ― and coming soon – data analytics; all online with 100 percent of the tuition covered. To learn more about our partnership with Purdue Global, go to ManTech.PurdueGlobal.edu.